It might not be as exciting as the new Cappuccino Maker or the Wide Screen TV but the boiler is one of the most important pieces of technology in your home. 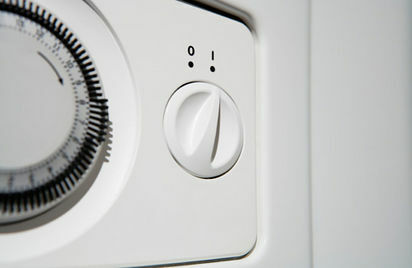 4Homes have got together with www.house.co.uk to bring you a guide to the world of hot water and warm homes. There's the mournful shaking of the head, the quick sucking in of air between the teeth and then the phrase every home owner dreads "Oooh dear. You're going to need a new boiler here and no mistake". It's enough to strike a chill into the stoutest heart. However not only are boilers probably less expensive than you think they're also a key part of the home. The Energy Saving Trust recommend that you should think about replacing your boiler after 15 years. Whilst boilers beyond this age can often still function, their effectiveness and efficiency becomes reduced. Boilers over fifteen years old can have an average efficiency of around 65%, this is compared to over 90% efficiency offered by "A" rated condensing boilers from British Gas. The first thing to decide when choosing a boiler is what sort of fuel you're going to use - town gas, LPG (Liquified Petroleum Gas) or oil. Then you need to decide on the size of the boiler, measured in BTU (British Thermal Unit) or Kilowatts, the number of radiators, the type of hot water system and whether you're planning to upgrade your system. Don't install a boiler yourself. It must be installed by a qualified engineer and inspected regularly. It is not sufficient that the owner of the company be Gas Safe registered, the person fitting your boiler must be able to demonstrate that he/she is registered by showing ID before you permit access. Ensure your central heating and gas appliances are serviced annually by a Gas Safe registered engineer. Never block or cover vents. Clear vents allow your gas appliances to breathe and burn safely and efficiently. Consider fitting a carbon monoxide detector in your property - one of these small, inexpensive devices could save your life. Maintained correctly, they will warn you if the carbon monoxide level in your home becomes dangerous. Although in the summer the weather may be warm and sunny, fire up your central heating system occasionally to keep it ticking over and prevent it from jamming when the cold sets in. Bleed your radiators every now and again to ensure they have no air in them. You'll know if they need bleeding as they may be cold at the top. For a flat or small house Combi Boilers are most suitable since they don't need to store water but instead heat the water as you use it. There is no cylinder, no tank and no connecting pipe work, which saves space and reduces hot water costs. 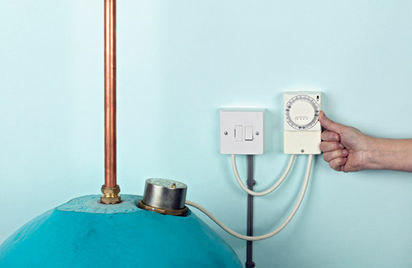 A combination boiler produces a near instantaneous supply of hot water on tap, 24 hours a day. Unlike conventional heating and hot water systems, a combination system does not store hot water.